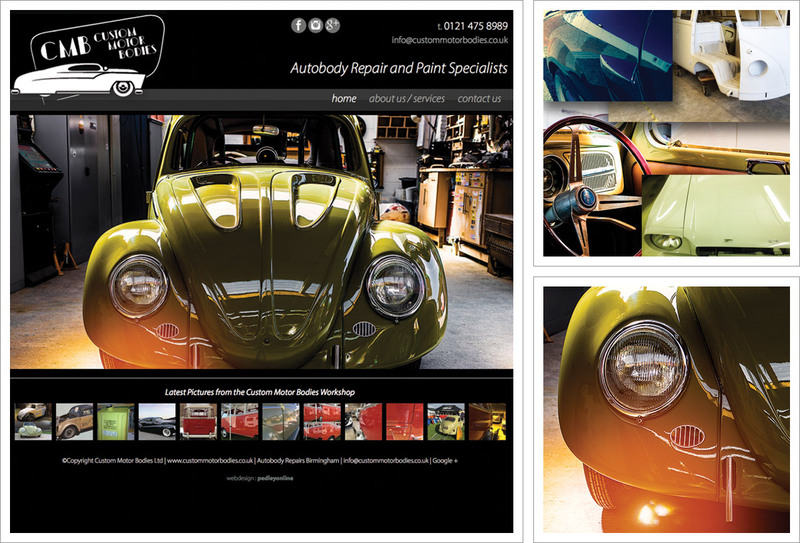 A small brochure style website for local car body shop Custom Motor Bodies. Custom Motor Bodies work on both everyday run-arounds and classic cars and will undertake minor repairs or extensive body work and repaints. Their website details the services they provide and has links to Facebook, Instagram and Google+ where you can gain an insight into what’s going on in their workshop and fabulous examples of their work. The contact us page includes a Google map alongside contact information. In addition to this key contact information is available on every page in the web banner. For this project we worked with Custom Motor Bodies existing logo design and under their guidance we helped create a website design to portray the image and style they were after. After trying (and failing) to create a website myself, I enlisted the professionals. Pedleyonline turned the daunting prospect of creating a website into a fun and easy experience. I am really happy with the end result … it looks exactly how I pictured it in my head …. but better!!! I would have no hesitation in recommending them.